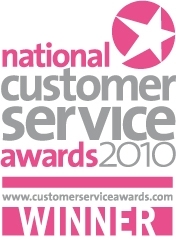 Heateam, the service division of BDR Thermea, which was created when Baxi and De Dietrich-Remeha merged in 2009, has scooped a top accolade at the National Customer Service Awards (NCSA) 2010. Heading off stiff competition from Thames Water, Rentokil and Royal Mail, Heateam won the coveted Field Service award after impressing the NCSA judges. Heateam comprises a national distribution network of more than 280 Gas Safe registered engineers who deliver maintenance and support services for all Baxi, Potterton, Main and Remeha central heating boilers in Britain. Customer service director for Heateam, Lee Robinson, congratulated his engineers following the award. The Heateam director also heaped praise on his customer service department, which was this year ranked seventh in the 2010 Top 50 Call Centres for Customer Service. It would appear that Heateam is becoming a major player in the domestic boiler insurance and breakdown business. Based in Warwick, the Heateam customer service centre is open for 363 days each year. Judging by the division’s recent awards success, Heateam is well positioned to rival major competitors such as British Gas and Homeserve. I have just had the pleasure of dealing with this award winning service team. My call was only on hold for 15 minutes! As my boiler won’t light (the same fault they ‘fixed’ a few weeks ago), they are going to send one of their engineers around as quick as they can. As you mentioned in your article, they have a network of over 280 Gas Safe engineers, so you can imagine the relief I felt when they told me that it would only take 4 days for the engineer to get to me. What a great team! That sound speedy! Baxi called us looking to borrow parts as they did not have the parts they needed. How they got this award a blind man on galloping horse could have seen Heathrow handled the snow problem with extreme ease compared to Baxi. Trying to use a telephone to speak to tech support person with an IQ in double figures. Ask what fuse F1 does on a Barcelona PCB, no has a clue!. Oh Bad me I mentioned the Satins name what is even worse is the Bahama, the Potterton Promax, Potterton Supermia the string of lemons. Now the Duo tech Electrode problem, oh sorry not ment to mention this after all so Idot in Which said it should be boiler of the year, must have been smoking the same bong the directors of the banks used! heateam are a rubbish company…don’t turn up on the day booked, don’t call to explain why despite my wife and i having called them twice to confirm they will come. Have 2 mall children and a house without heating for nearly a week now….they must being paying someone to win prizes…appalling company to deal with. January 13th 2011 had part of new fire replaced under warranty. Had our yearly service with local company in November 2011. We had a gas leak since January 13th. Fire had to be capped. Call put out and after a few ifs and R’s a different engineer (our request) came out to fix it… day later … so, cant complain about the quick turnaround, just now going to complain about the gas leak. We had our baxi 24 eco fitted in January this year 2012 and our boiler has continually played up at least once a month were wont flick over to heating and the pump continually running when should shut off after 2 mins. The same engineer has been out twice and on both occasions said there’s nothing wrong with it and its just a bit off sand in the magnit bobbins. So then goes away and explains wont have anymore trouble. Within an hour of leaving the boiler dies again, so we ring the heatteam again and they say next available appointment would be Monday another five days without heating in sub zero temp after waiting five days already to come! Then they have the cheek to send me a txt asking to rate them and if I would like to purchase an extended warranty for piece of mind. Total bunch of thickos who can’t fix things properly. Still awaiting boiler to be sorted.